Planning a vegetable garden is no easy task. However, it is an awesome way to get some practical use out of your garden. Planning it correctly is the key – and knowing what to do and what not to do can be the difference between a successful yield and a disappointing result. 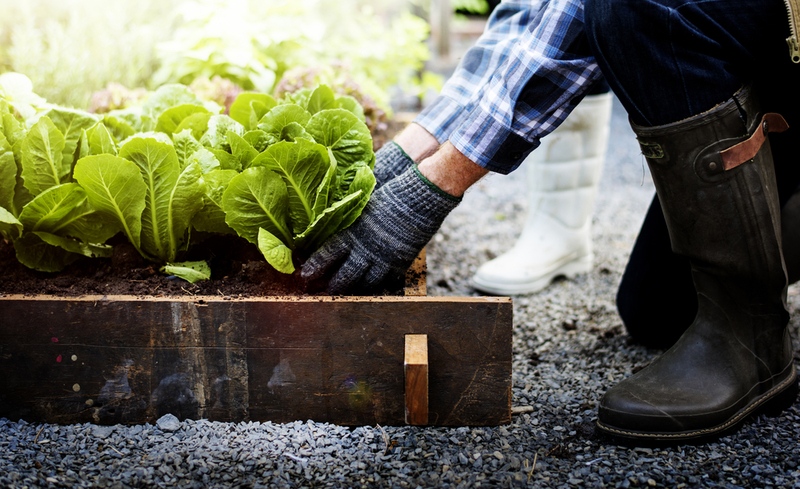 Check out this list we compiled of the do’s and don’ts when it comes to planning your veggie patch. So you have the perfect physical spot for your garden, but there’s something stopping the sunlight from hitting it. Whether it’s a tree, shady vines or a large object like an old trampoline, you should consider getting rid of it. Many vegetables that grow in warm seasons need a minimum of six to eight hours in direct sun to grow. Therefore, if it means uprooting the tree or getting rid of the trampoline, you should do so, especially if your veggie patch is a current priority. Knowing the quality of soil in your garden is the key to a successful yield of vegetables. Testing your soil for purity, pH and moisture will give you the information you need to help you decide which plants are suitable for this environment. Finding out that you have poor-quality soil in your garden can be disheartening. However, that’s not to say it can never improve! Using some form of compost is a wonderful way to improve the moisture and richness of your soil. Manure and mulch are also great alternatives that will help enrich the soil. These improvement techniques work because as the compost, mulch or manure breaks down, it releases valuable nutrients into the soil. Do you live in an area with hot summers and rainy winters? Or is it relatively sunny all year round? These are some questions you should ask yourself while planning a veggie patch. The Australian sun has a notorious reputation for being scorching and dry. When you think about it, that doesn’t sound like the best environment to grow plants. However, you’d be surprised at just how many veggies can grow in arid climates. You should plan a vegetable garden using graph paper first. Ensure your diagrams are to scale using measurements of the space you’ve allocated for the patch. Take time to think about path spacing, central features and the logistics. From here, you can use pegs and string in the actual garden to plan out the veggie patch dimensions that you used in your sketches. Companion planting is the process of planting different vegetables in the same area. The gardening concept is that the ‘companion’ plants complement each other’s growth or protect each other from pests. It is proven to be beneficial to overall growth. It can be tempting to attempt to grow as much as possible in your veggie patch. However, overcrowding your vegetables actually does more harm than good. In fact, it can even be worse than having weeds. An overcrowded garden means that all the vegetables are competing for the same nutrients and moisture in the soil. This negatively affects yield and actually makes your veggies more vulnerable to pests and diseases. To avoid overcrowding, there are ways you can figure out how much space to give your plants. Check out this great guide from the ABC! A Better Driveway are specialists in decorative concrete landscaping solutions including coloured concrete. To find out more information about why a coloured concrete driveway might be for you, call us on (03) 9308 6112.